A very special guest heralds his arrival to the doorstep of the Grant Mansion – it’s host, impressionist and omega level Loony, Anthony Sytko from Capes on the Couch – Where Comics Get Counselling! High Priest of Khonshu Rey has a chat with Anthony about his love for Moon Knight but also the pair go through a run down of Anthony’s synopses and full film script for a Moon Knight Film!! Khonshu’s bearing Eye is cast down for all to see and with a Full Moon in the sky, ITK are bound to review all things film…Anthony’s script is ripe for the picking – but it’s also a good excuse to have a yarn with one of podcasting’s nicest blokes!! Hehehe…that is just me trying to put on an English accent using the power of words! As usual, if you’ve been looking at your telescope up into the night sky (and not at the neighbours, you peeping tom!) – or if you’ve obtained a Moon app much like myself – you’ll note that this coming weekend we will be gifted with a Full Moon! MOON & STARS – MOON KNIGHT FOR FILM! Khonshu’s big, fat orb of an eye will be beaming down on us and when this happens, we at ITK are summoned to pay homage to Moon Knight as featured on the small or big screen. 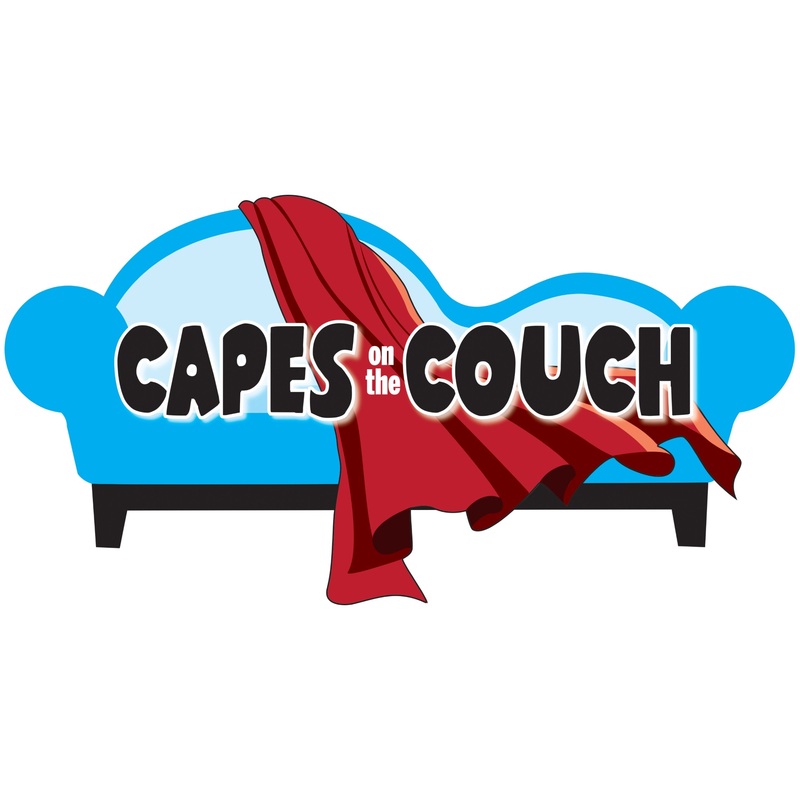 Capes on the Couch also have a great episode dedicated to Moon Knight too! Anthony Sytko joins High Priest Rey to discuss a pet project Anthony has been working on for years – it is in fact, a movie script for Moon Knight which was written with the intent on pitching to the big movie studios! Anthony has spent alot of creative effort and hard work honing a film script which features the Fist of Khonshu, so we go through not only the film script itself, but the synopsis as well as the cast of characters included in the treatment. There are a few surprise guests in it and the premise is an absolute cracker! Apart from discussing the Moon Knight film script, Anthony chats about his love for the character, his podcast and comics in general. As we’ve already pre-recorded this episode (almost 2 months ago….of which things certainly have progressed…Anthony and his wonderful wife have a new addition to their family, a beautiful baby boy, Theo. When we recorded this episode, Anthony was not yet a Dad! ), there won’t be any questions per se for Loony Listeners to weigh in on, however that is not to say we don’t want to hear from you! If you made a TV show or film on Moon Knight, what arc would you base it on? Which other characters would guest star in your Moon Knight TV show/film? It certainly was a blast having Anthony on the show and is testament to the passion we Moon Knight fans have! 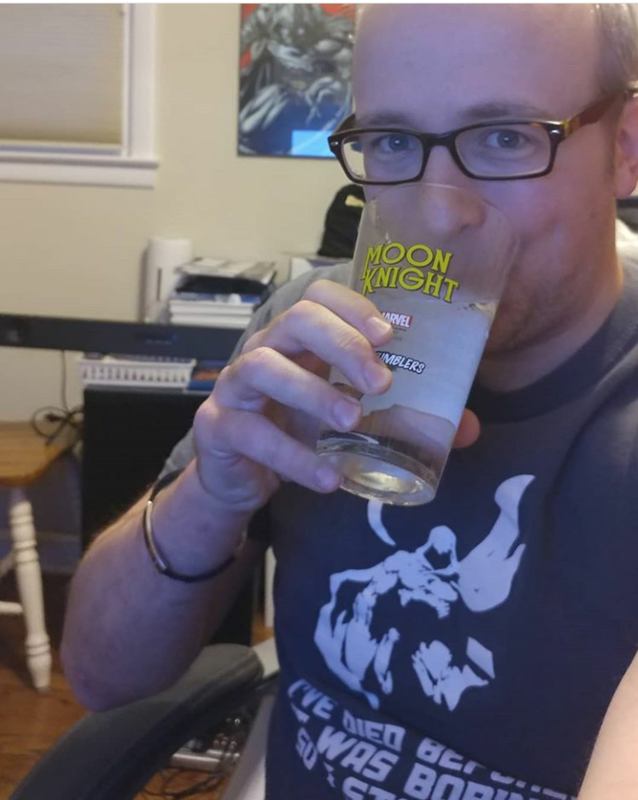 It constantly amazes me how cool Moon Knight Fans (Loonies) can be, and it’s an amazing time to be a Moon Knight fan…. The only thing that would make it even more amazing would be a new comic book series and a TV show or Film announced! With Disney+ being announced to go live at the end of the year, there’s plenty of scope to have Moon Knight fit in there somewhere. I only hope that he isn’t used wastefully and becomes an incidental character in someone else’s show/film. What Anthony shows is that there is enough there for Moon Knight to sustain a film by himself, and alongside his supporting cast and rogue’s gallery, there is enough there to provide the drama, action, horror and wit that makes up many an MCU or DCEU film. I do hope you enjoy this upcoming episode and that it motivates you too, to if not create, write or draw…then to merely continue to stay buoyed at the enjoyment that’s one gets from following the adventures of Moon Knight and being a fan.